ISIS (the Islamic State of Iraq and Syria, or ISIL, the Islamic State of Iraq and the Levant) launched “the siege of Kobani” on 16 September 2014. It’s aim was to capture Kobani, a Syrian town which has been under Kurdish control since July 2012. By 6 October, ISIS fighters had fought their way into the centre of the town. This shocked those who see the de facto government in Rojova (Syrian Kurdistan just south of the Turkish border) as a democratic alternative for the region. Rojova’s foes, including the government of Turkey led by Ahmet Davudoğlu, celebrated what it saw as Kobani’s impending fall. 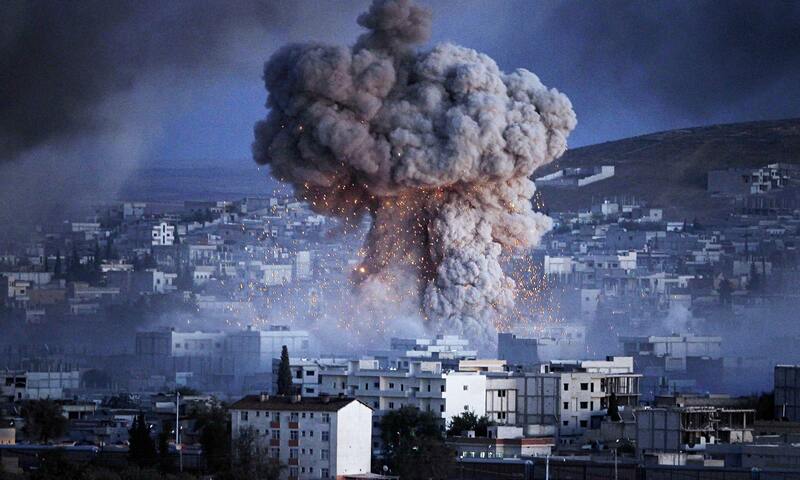 But Kobani did not fall. Kurdish militants vigorously defended Kobani. Under growing public pressure, the United States had to reverse its policy and provide military and humanitarian aid to the residents of this key town. By mid-October, the US-led air strikes were destroying ISIS tanks and artillery. Washington pressured Turkey, its longtime NATO ally, to let the peshmerga of Iraqi Kurdistan enter Kobani via Turkey and help the Democratic Union Party (PYD), the Syrian Kurdish affiliate of the PKK (Kurdistan Workers’ Party), which has fought an armed struggle against the Turkish state since 1984. Currently, there are many reasons to hope for an ISIS defeat. Tens of thousands of Kurds have demonstrated in the streets in southeast Turkey to support Kobani. In fact, Ankara seems to prefer that ISIS succeed in taking Kobani in order to weaken the Kurdish national liberation struggle. While the Turkish government did not allow Kurdish militants and volunteers to enter Kobani via Turkey, it let ISIS militants freely enter and exit across its borders. There have been reports of intelligence collaboration between Turkey and ISIS. The main reason for this is Turkey’s desperate attempt to smash the Kurdish movement. 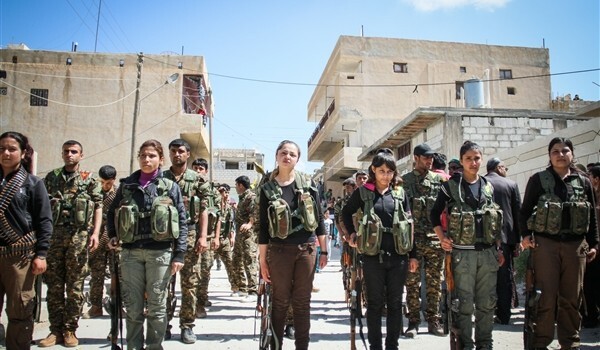 The Syrian Kurds established an autonomous government in three cantons in Rojova. While this progressive development was not a revolution, as some progressives have characterized it, nonetheless it embodied the democratic aspirations of the Arab revolutions. It began as an entity autonomous from US imperialism—unlike the regime of Iraqi Kurdistan led by Masoud Barzani, who is a staunch supporter of U.S. Imperialism. This was also a great step forward for the long lasting Kurdish national liberation struggle in Turkey since PYD is identified with the PKK and its imprisoned leader Abdullah Öcalan. The Turkish government’s pro-ISIS policies, which seemed to be aiding a possible massacre in Kobani, sparked widespread Kurdish riots across Turkey. Forty-four were killed in clashes with the Turkish police and with the Hüda Par, a racist organization with links to the Turkish government. Many thought this was the end of the so-called “Solution Process”, the secret peace negotiations between Ankara and PKK’s imprisoned leader Öcalan. 1) The Kurdish national liberation struggle should be defended. Kurds have a right to national self-determination. 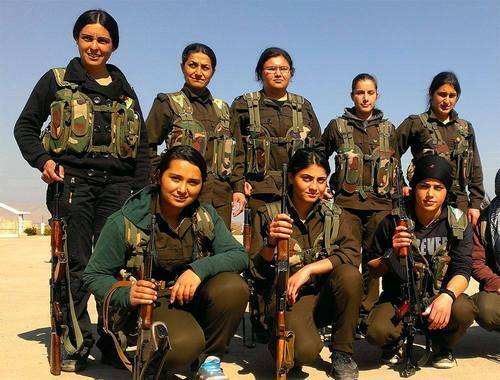 Defeat the siege of Kobani! Defend the autonomy of the government in Rojova! At the same time, our Kurdish sisters and brothers should know that cooperation with the U.S. or its allies has never, and will never benefit their struggle for emancipation. For similar reasons, they should not ally with the North Iraqi regime of Barzani, who is loyal to American interests in the region. Barzani’s attempts to contain the Syrian Kurds should be stopped. 2) The Turkish government is corrupt, treacherous and undemocratic, and should be overthrown by the working class. The so-called ‘Solution Process’ is a lie. Permanent peace between the Kurds and the Turks can be achieved only by the joint struggle of the Turkish and Kurdish working people. The Gezi Revolt and the Kurdish national liberation struggle should be linked.